Vicki Thiem submitted this photo and caption. I marched as a member of the Troopers from 2004-2008, and I just aged out this summer. 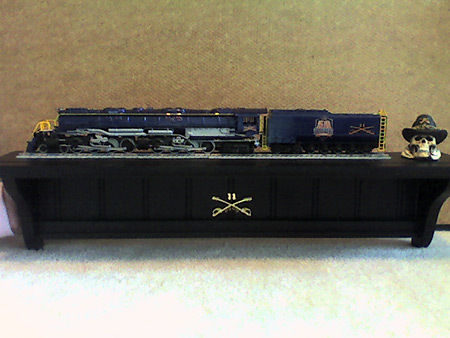 My uncle (with the help of my parents) made this model train for me for Christmas in honor of our 2008 program, "The Ironhorse Express."